Laura Soucek (ICREA @ VHIO) and Marie-Eve Beaulieu are the Peptomyc entrepreneurs that last year started the company and raised 1M to reach proof of concept stage. After sucessfully completing the first milestones, they have now secured asecond round.The investment was led by Barcelona based investors Alta Life Sciences and raised more than 4 million euros to develop their promising oncology treatment. In a nutshell, their technology is based on blocking the gene Myc, which is essential for the survival of cancer cells (and only those!) We wish them all the best and hope that this can become a treatment in the future. See attached the press release, and click here to go to VHIO's website and find out more about the science behind this breakthrough. After two and a half years of work, we have finally completed the Implementation Phase of the EURAXESS Human Resorces for Research Strategy (HRS4R') and have submitted the documents to the Euraxess authorities. The Action Plan, which constitutes the backbone of the strategy is already available here. It is also posted on the ICREA Transparency page where it will be permanently available. The next step in the process is the assessment by the European Commission, which, if successful, will grant the HRS4R to ICREA. Two years later, we will prepare an interim report for assessment, and we and three years after that, there will be an on site visit and reaccreditation of ICREA. Prof. Jeroen van den Bergh - Institut de Ciència i Tecnologia Ambientals, Universitat Autònoma de Barcelona (ICTA/UAB). We are looking forward to proudly displaying the HR award logo on our site! 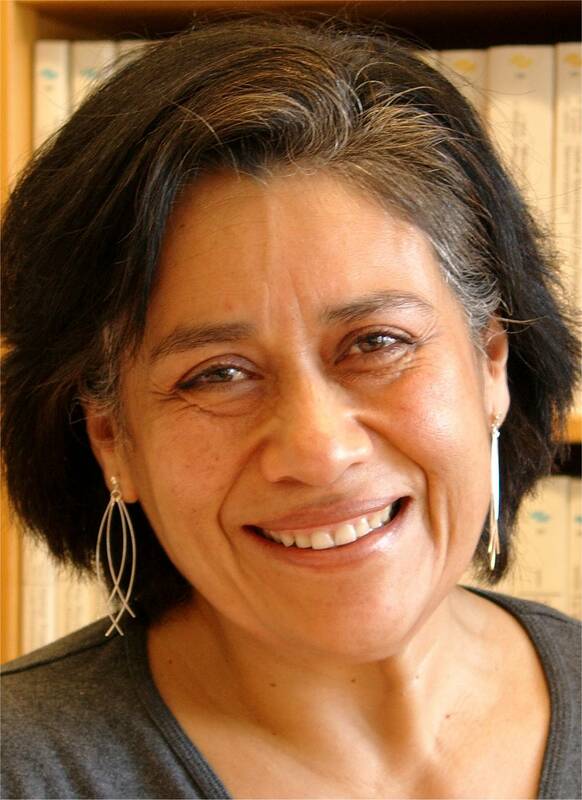 Clivia will be chairing the Group for the next year. Clivia will be chairing the Group for the next year. The Future and Emerging Technologies Advisory Group (FETAG) is an advisory entity set up to ensure that the European Commission receives consistent and consolidated advice during the preparation of the Horizon 2020 work programmes. 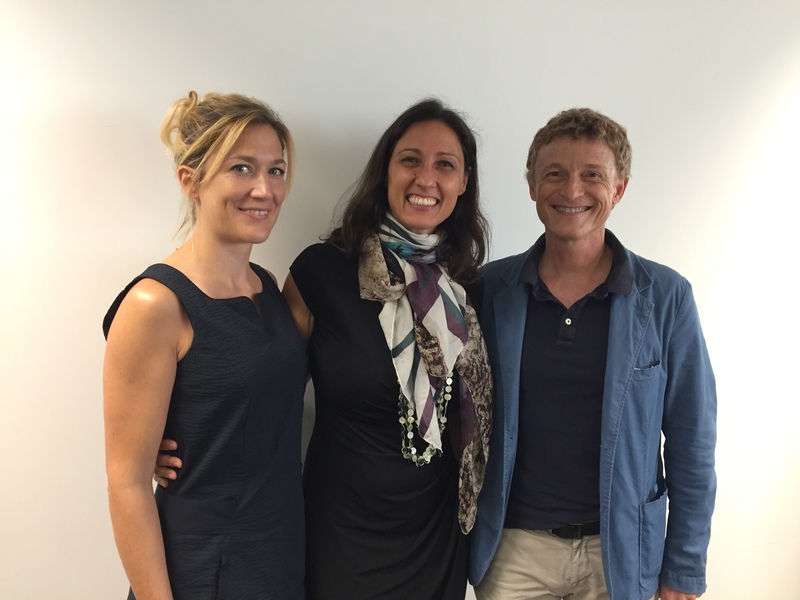 Congratulations CLivia in this new responsibility! 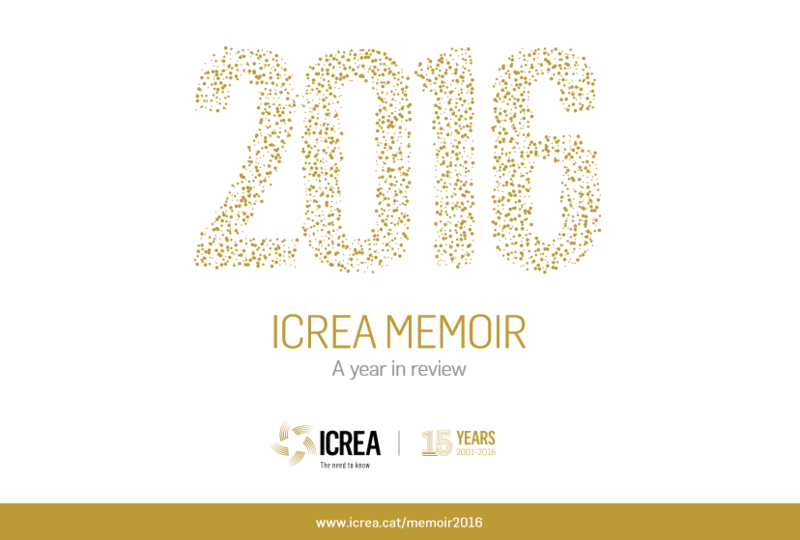 ICREA Memoir 2016, now online! 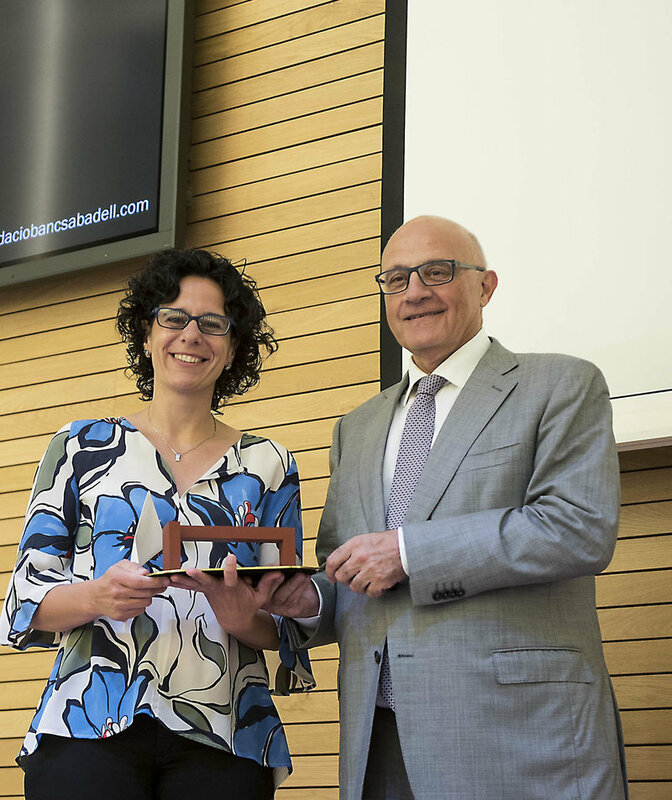 Nuria Lopez-Bigas (ICREA at UPF) received last night the prestigious Premi Banc de Sabadell a la Investigació Biomédica for her research on ellucidating the role of mutations in tumors. Nuria's research offers tools to identify the relevant mutations in a tumor, among the many thousands of irrelevant, background noise of constant mutations that take place in an evolving tumor ecosystem. An example of scientifically worthwhile and socially relevant research. See the UPF press release here for more details. 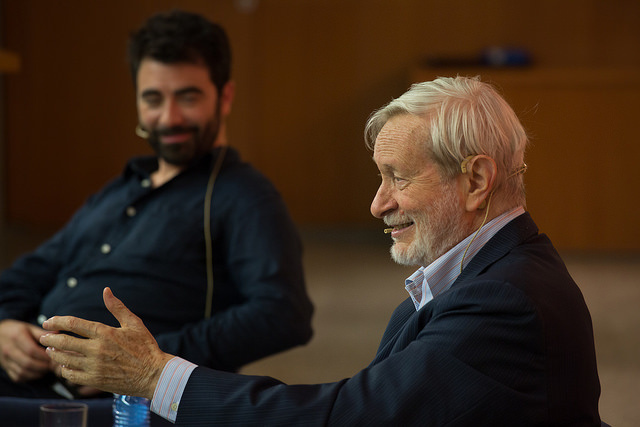 Philosopher Gianni Vatimo donated his personal archives to the Universitat Pompeu Fabra in an agreement signed last Monday. Philosopher Gianni Vatimo donated his personal archives to the Universitat Pompeu Fabra in an agreement signed last Monday. ICREA Research Professor Santi Zabala, a disciple of Vatimo, organised the event. See the video here!